Today I'll be sharing two different projects with you. The first is my project for the IMAGINE Crafts and Dreamweaver Stencils Blog Hop. The second project I'm presenting today is the Altered Pages' Featured Artist submission. I hope that you enjoy both of these projects that I've created! This week IMAGINE Crafts and Dreamweaver Stencils are featuring a Blog Hop showcasing our fabulous products and providing some inspiration for you to get creative! And be sure to leave your comments on each artist's post that you visit for your chance to win a fabulous prize that includes IMAGINE Crafts and Dreamweaver products. Contest closes at 11:59pm PST on Sunday, June15th. So easy to make and a uniquely cut front makes for a beautiful card. 1) Cut Kraft card stock 4.25 x 7.25 inches. Score at 5.50 inches. 2) On white card stock, brayer on the Denim Kaleidacolor. Cut a panel measuring 4.25 x 4.50. Emboss Flourish and ink with Wedding White while stencil is still in place. Attach to card front, then trim around the Flourish. 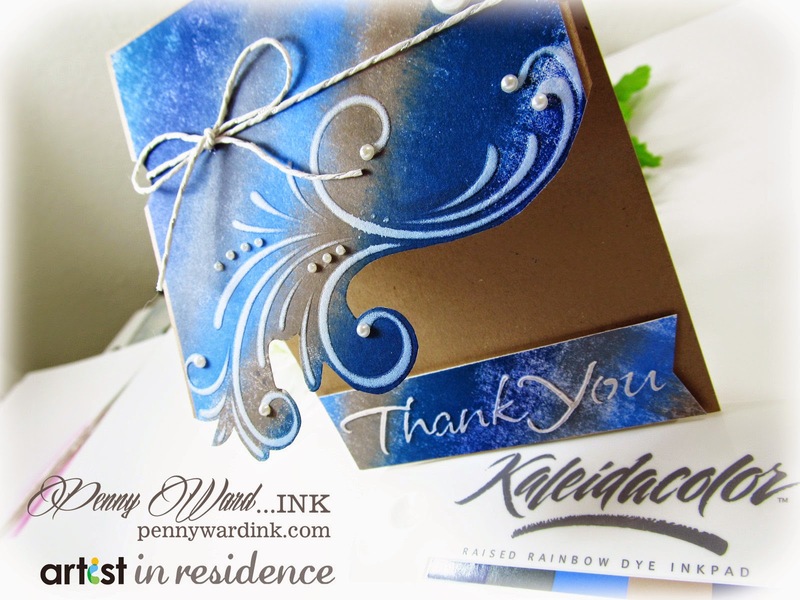 3) Use Modeling Paste on Thank You stencil over a small section of the left over Kaleidacolor Denim. Let dry. Trim fishtails on ends and attach to card with foam adhesive. 4) Punch half circles near top of card as shown, add twine. Embellish with faux pearls as desired. Each Tuesday during the month of June, IMAGINE Crafts would like to share with you the projects that our Artists In Residence have created using products from Altered Pages. 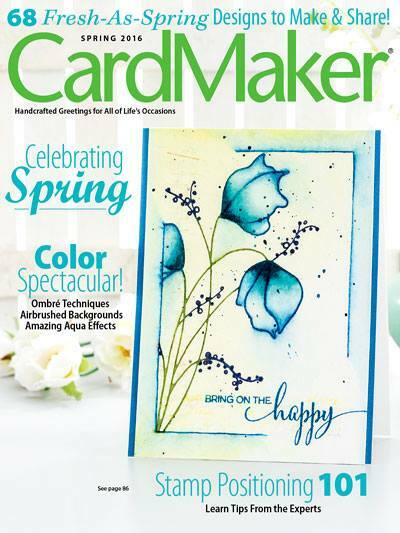 The Design Team at Altered Pages will also be featuring IMAGINE Crafts/Tsukineko products on their blog throughout the month and we hope that you'll visit the Altered Pages Blog to see the fabulous projects that their team has designed as well. This card was out of my element (I tend to keep it simple), but SOOOOO much fun to make. I am so loving that lace beneath the folded corner. Both of these cards are lovely. I like how you used the flourish stencil. And the dragonfly card is cool. Good way to use that hook on the fold! Great projects. Thanks for sharing! I like the white flourishes against the blue background and the fabulous dragonfly. Stunning, creative and unique technique. GREAT job. Impressive cards!!!! The use of inks in your tan and blue card is awesome!!!! TFS and for a chance to win! Beautiful color choices and great projects. Amazing work! I absolutely love the blues and browns with the fun edge. Beautiful Thank You card, love the colors. The dragonfly card is lovely as well! Love the creative cutting with the flourish! I have thoroughly enjoyed looking at your cards Penny! Cutting out the flourish edge is a great design trick! 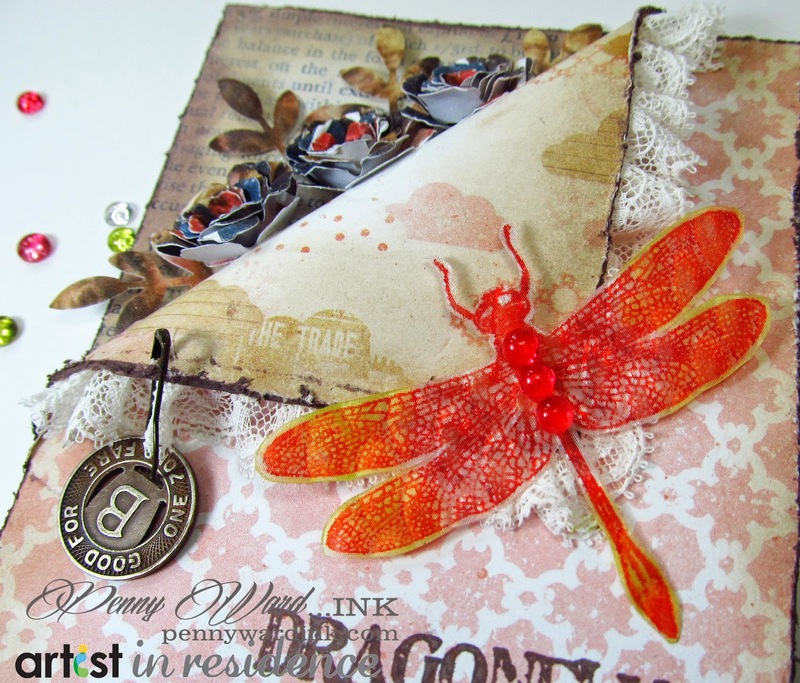 I really love the dragonfly card with the pocket of flowers tucked in. It's really tough to decide which one I like more as they are both stunning. These are so appealing, love the swirls! Beautiful card with the Dreamweaver designs! Thanks so much for playing with us this week! okay...wow for both...the first for those amazing colors...and the second...well I agree that lace is fabulous!! Oh my gosh, both cards are awesome. Love, love, love, the colors of your thank card, and you did an awesome job on your dreams card, can't tell you were out of your element. Great, great, job. Blue is my favorite color, so of course I love the blue card and I like how you combined the color with the white embossing paste. Wow, your cards are gorgeous! I love the colors and details, thanks for sharing. Very impressed since it was out of your 'zone'. You did a grand job! and You are a natural at it! 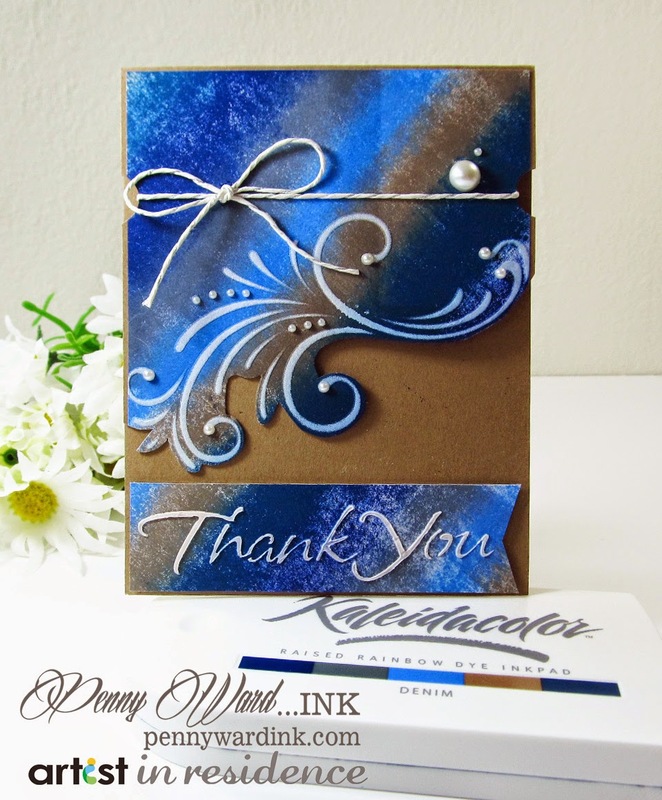 Love the swirls and the fancy edge on your blue card, reminds me of the sea. Beautiful. Both cards are so elegants, I love them! Such beautiful work on both cards!! The colors are so vibrant and beautiful!! You totally got this!! Thank you for sharing your how-to's!! wow, both are very stunning. Just beautiful. Great background using the Kaleidacolor Denim and so easy! The Amsterdam Flourish is beautiful with the white embossing and fussy cut. Beautiful! So pretty--your dragonfly creation is beautiful, and a woman after my own heart, incorporating the safety pin and token!!! OHHHHHH! I LOVE how you used that Kaleidacolor ink pad for your first card! And your second card is full of detail and fabulousness! LOVE LOVE LOVE! Both these cards are so stunning! Gorgeous, rich colors! Love the Flourish stencil too!